Software maker Microsoft says that hackers linked to Russia’s government tried to launch computer attacks on United States websites. The websites belonged to the U.S. Senate and to some conservative American research groups known as think tanks. Microsoft warned that Russia is expanding its attacks before U.S. congressional elections in November. The world’s biggest software company said late on Monday that last week it took control of six web domains that hackers had created to look like websites belonging to the Senate and the think tanks. Users who visited the false websites were asked to enter information to log in to them. Microsoft’s action is its latest effort to stop what it says are Russian government hacking attempts. The company said it has shut down 84 false websites in 12 court-approved actions over the past two years. The attacks are believed to have come from APT28, a group under the Russian military intelligence agency GRU. It is believed to be the same group that interfered with the 2016 U.S. election. Microsoft did not blame the group directly, but named them in their statement. Microsoft President Brad Smith wrote about the hacking incident in a blog post. He said he was concerned that the hacking attempts are a “security risk” to American political parties as they near the 2018 election. Microsoft said it had no evidence that the hackers had been able to use any of the login information before the sites were removed from the web. This kind of attack is known as “spear fishing.” Spear fishing describes an operation in which hackers trick people into entering their username and password into a false site in order to steal their login information. Gaining login information would permit the hackers to get emails, contact lists and other information of important individuals. 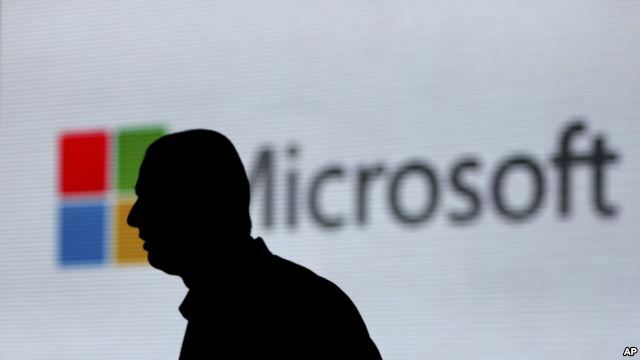 Reuters news service reported that Russia rejected the Microsoft accusations and said there was no evidence to support them. “We don’t know what hackers they are talking about,” Russian spokesman Dmitry Peskov told reporters. “Who exactly are they talking about?” He added that Microsoft did not show any real evidence to support their accusations. Russia has denied that it used hackers to effect U.S. elections and political opinion. The targets, Microsoft said, included the International Republican Institute. Its Republican members include Senator John McCain of Arizona. The Hudson Institute, another target, has held discussions on cyber security, Microsoft noted. It also explored the rise of government corruption and theft in Russia, and has been critical of the Russian government. Other false domains were used to look like real websites used by the U.S. Senate and Microsoft’s Office software, the company said. Microsoft’s report came as tensions between Russia and the U.S have grown. In July, a U.S. federal grand jury charged 12 Russian intelligence officers with hacking into the computer networks of Democratic presidential candidate Hillary Clinton and the Democratic Party in 2016. Reuters and the Associated Press reported this story. Susan Shand adapted the story for Learning English. Mario Ritter was the editor. hacker – n. person who secretly gets access to a computer system in order to get information, cause damage, etc. Web domain – n. an actual presence on the Internet, such as a web page.